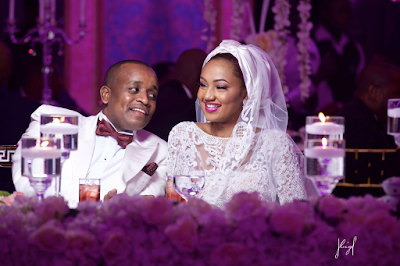 President Buhari’s daughter, Zahra Buhari and her husband have welcomed a baby boy. Zahra gave birth in a hospital in Spain, yesterday July 9th. Zahra is the wife of Nigerian businessman Ahmed Indimi. She is also believed to be the fifth daughter of Gen. Muhammadu Buhari, the president of Nigeria. She was born to Muhammadu Buhari’s second wife, Aisha Buhari. She is a graduate of microbiology at the University of Surrey, the UK. She and her brother Yusuf graduated from the University in 2016. She currently runs an NGO called ACE which primarily offers free medical care for sickle cell sufferers, while her husband runs his own business.